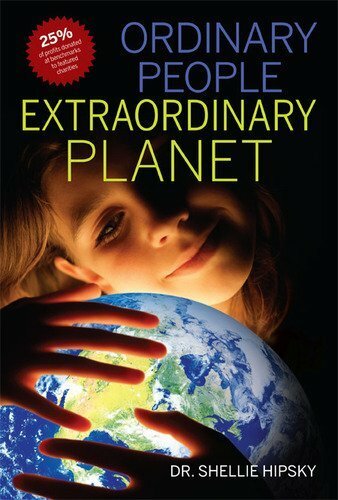 Ordinary People Extraordinary Planet includes incredible stories of a dozen people’s triumphs over adversity. Meet Mary K. Hoodhood who provides dinners for over 3,800 hungry children in Michigan daily; a quadriplegic, she coordinates it all from her wheelchair. Arturo Sandoval, the Grammy/Emmy Award-winning trumpet player, escaped persecution in Communist Cuba to live his dream. Clarel Radicella, who pushed past her pain for years to inspire and connect people, shares her final three letters to her children. Through his “Homeless by Choice Tour” Roy Juarez, Jr., has talked to over 100,000 students about his experience being homeless at 14 years old with his siblings. Share adventures from a teenager who has built four libraries in Tanzania to a mechanic’s bold expedition in the North Pole. The people in this book will uplift and inspire you! Dr. Shellie Hipsky is an associate professor at Robert Morris University, author of five books, and a respected public speaker. She educates, entertains, and inspires globally.